A big pack of Muslin Squares is a “must-have” purchase for any new Mum. 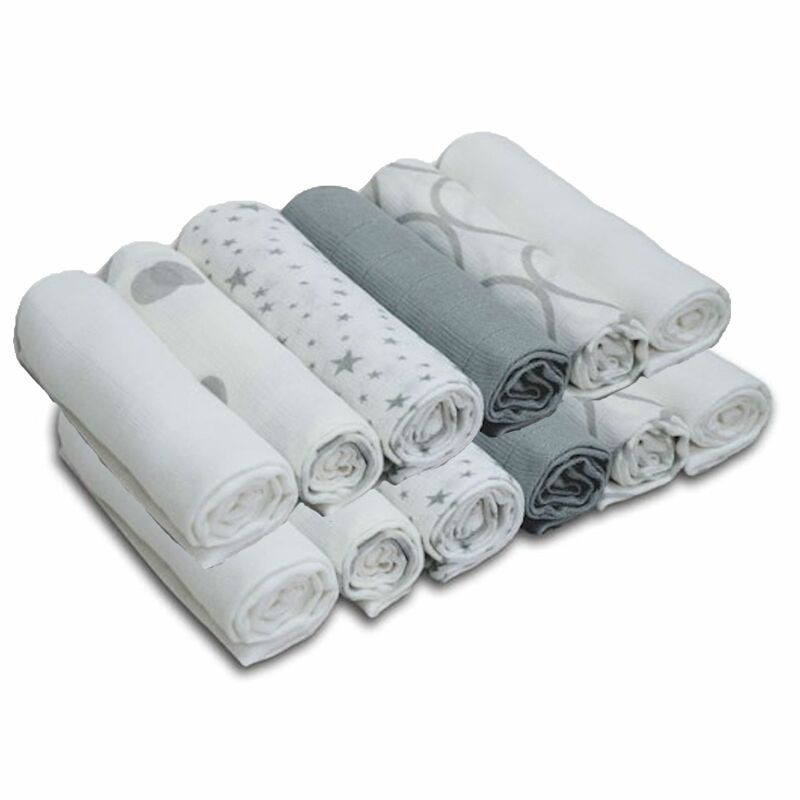 These machine-washable 4baby Muslin squares can be used for 101 different reasons. The most popular being to protect your clothing whilst burping or winding your baby, but can also be used to wipe up (or protect against) any baby related mess, making them an essential accessory to have in your changing bag at all times. The multi-pack of Muslin Squares can also be used for many other reasons such as mopping up spills, as nappies, nappy liners, nappy boosters, feeding cloths and feeding bibs to name just a few. Perhaps the easiest purchase decision you will ever make!